I had to choose Yeo Jin Goo as best actor for his outstanding performance in Circle: Two Worlds Connected. He is beyond talented, and he completely drew me into the plight of his character with such a gripping and heart wrenching delivery. I still feel so many emotions just thinking about it. 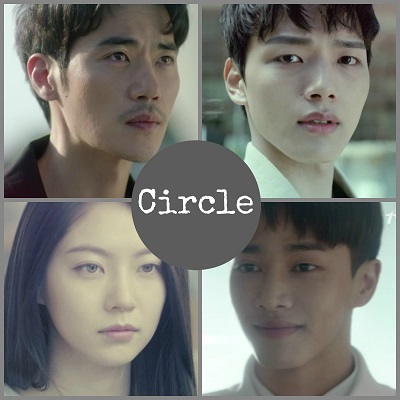 Circle is a fantastic drama as a whole, but it should most definitely be checked out for Yeo Jin Goo. Even though she is very young, Heo Jung Eun took on a leading role in Oh My Geum Bi and completely shined. She delivered such a heartwarming performance that was touching and humorous as well tragic. This girl will pull you right in, and you just can’t help but love her. Yang Se Jong had quite a year including a couple supporting roles as well as a couple starring ones. But his breakout performance had to be in the clone thriller Duel where he played dual roles as the good amnesiac Sung Joon and the villainous kidnapper Sung Hoon. He was absolutely phenomenal and had me convinced that these were two separate people. They looked exactly the same, but their personalities and mannerisms were completely different. I’m still thoroughly impressed by Yang Se Jong for being so convincing as each guy. This talented actor should have a promising career ahead of him! I really had to choose a runner up in this category because of how impressed I was with L. L is one of those idol actors who has several projects under his belt, but he has always been received with mixed reviews. But his performance as the fake prince in Ruler: Master of the Mask had people taking notice. I was left in awe and was thoroughly impressed with how much intensity he put into the role. Such an outstanding performance! Gong Seung Yeon had a pretty good year too. I enjoyed her in the rom com historical My Only Love Song, but it was her role as a mysterious alien in the sci-fi drama Circle: Two Worlds Connected that really got my attention. She was perfect for the character and really added mystery and depth to create a very intriguing performance. Suspicious Partner is that wonderful mix of rom-com, mystery, and legal thriller elements. Ji Chang Wook and Nam Ji Hyun had such wonderful chemistry, and I loved watching their relationship progress. All of the characters were so well done, and they really brought the drama to life. It was a joy to watch on so many levels. While not a traditional crime thriller, the sci-fi drama Circle: Two Worlds Connected contains many elements of the crime genre as well as being completely thrilling. The pace is fast and full of suspense as there is a constant sense of urgency. There are always new plot developments with plenty of twists to keep things interesting. The actors were all amazing, and they completely drew me into their characters. It immersed me in a thrilling story full of mystery and suspense that was gripping from start to finish. Oh My Geum Bi is such a moving and heartfelt drama! It tackles a difficult subject of a child suffering with a terrible, incurable disease. But it so much more than that. It hits all the right emotional beats to completely warm my heart while watching the relationship of a father and daughter blossom. Filled with humor and heart, even in the midst of sadness, there was always hope. This story was told so beautifully. Ruler: Master of the Mask is everything I love in a good historical. I was on the edge of my seat with its intensity and high stakes. It created such a rich world filled with intrigue, and it was populated by such interesting characters. Yoo Seung Ho and L were particularly wonderful. Fantastic on so many levels! Ji Chang Wook and Nam Ji Hyun in Suspicious Partner were easily my favorite couple of the year. They had a comfortable rapport, fantastic chemistry, and a romance that gave me plenty of feels. They faced a lot of difficult challenges on their road to happiness, but as they finally get on the same page, their wonderful chemistry only increased, and they simply left me swooning for them. 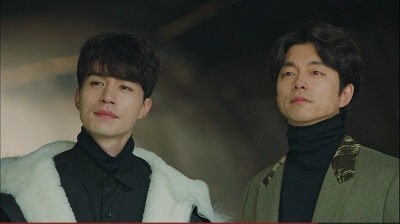 Of course, I had to pick Gong Yoo and Lee Dong Wook for their memorable bromance in Goblin: The Lonely and Great God. These guys played off each other so well to deliver plenty of humor. 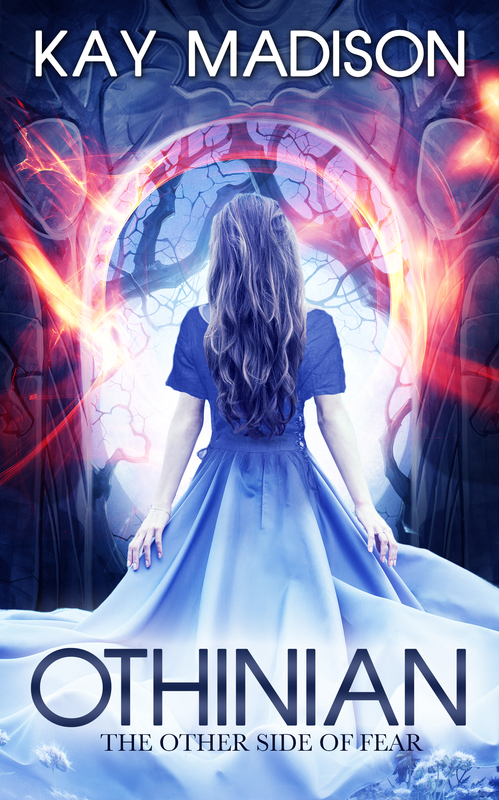 But then their tragic past forces them to face some painful issues that threaten to tear them apart. Who could forget this amazing duo? There’s a wonderful friendship between the three women in Because This Life is My First. These girls love and support each other in the best kind of way. They accept each other’s flaws and know the real meaning of being friends. Choi Tae Joon is quite the villainous character in island drama Missing 9. He was always ready to save himself over everyone else, and if anyone got in his way, he didn’t hesitate to get rid of them. Choi Tae Joon was quite creepy in this crazy drama, yet he still added some dimension to the character. He definitely left a memorable impression on me! The Dream/Reality Kiss in While You Were Sleeping was so many things. Not only was it very unique, it was packed with emotion and sweetness. The way it was filmed and edited was beautiful and perfect to make for a truly memorable and one of a kind kiss. The King Loves is a feast for the eyes! 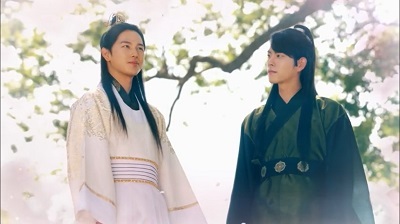 Set in my favorite Goryeo era, it has all of those stunningly beautiful costumes as well as that perfectly maintained long flowing hair adorning the characters. The cinematography was gorgeous and showcased the setting wonderfully. This drama perfectly captures why I love the style of the era so much. I loved every single song on the Hwarang soundtrack! It has a wonderful variety to enjoy from upbeat and fun to emotional and sad. They completely enhanced the drama because of how well they were utilized. Well, you can certainly tell which dramas left a memorable impression on me from the story to the actors by these awards. I hate that so many others were left out, but this is definitely a nice highlight of some of my favorites this year. So who were your favorite actors and what were your favorite dramas in 2017? 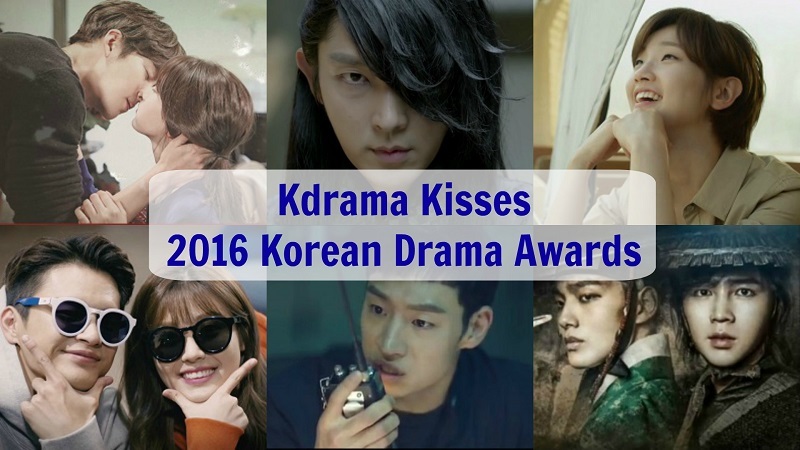 This entry was posted in Articles and tagged Choi Tae Joon, Gong Yoo, Ji Chang Wook, kdrama, Kdrama Kisses Korean Drama Awards, Korean Drama, L, Lee Dong Wook, Nam Ji Hyun, Suzy, Yang Se Jong, Yeo Jin Goo, Yoo Seung Ho. Bookmark the permalink. Ah, I didn’t realize that D-Day was your first blog post! I would certainly love to see your take on more kdramas in the coming year 🙂 Of course, I will enjoy the variety of shows you blog about regardless. Having some structure in your watching habits helps tremendously though for staying organized and finishing shows. I certainly tend to be very scheduled in my watching and it helps. You make me want to try out Duel and Circle. Our tastes differ drastically, but I think I will give them a try anyways. If nothing else to check out the actors you mentioned. When is the awards night in korea? 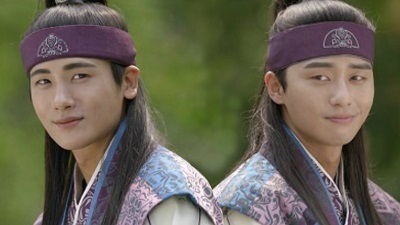 Il definitely be watching it for yeo jin goo!